Marlene Johnson, President Emerita of NAFSA; Jinzhao Li, Professor, Beijing Foreign Studies University; Hongxia Liu, Representative and Director, International Organizations, New York University Shanghai; and John L. Holden, President & CEO, US-China Strong Foundation. During this time of tense relations between the U.S. and China, academic partnerships may prove to be the premier avenue for bilateral cooperation. 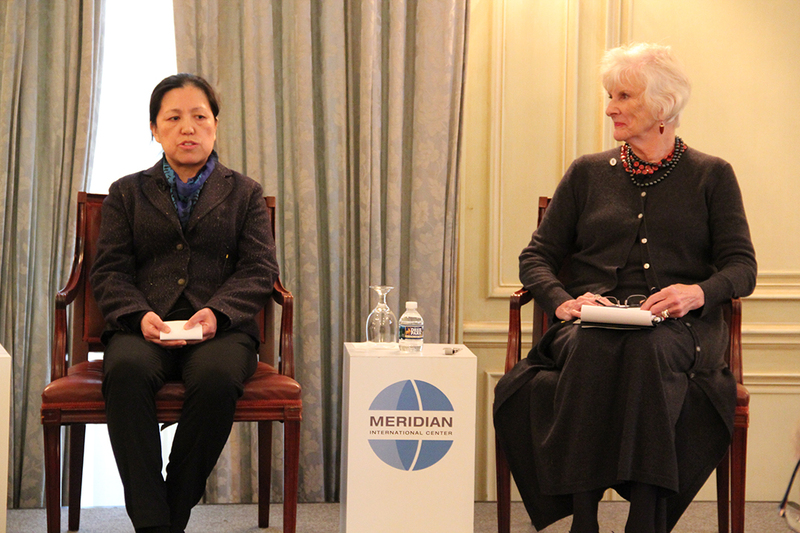 The role of international education and exchange amidst strained U.S.-China relations was the focus of the November 13 program co-hosted by US-China Education Trust and Meridian International Center on Meridian’s campus as part of the official kickoff of International Education Week. Audience members from local and international high schools and universities, government agencies, think tanks, consulting firms and a Fulbright delegation from China listened and contributed to an engaging conversation that stressed the need for continued international exchange as a means for public diplomacy. Welcome remarks by Ambassador Stuart Holliday, President and CEO of Meridian International Center, and Ambassador Julia Chang Bloch, Founder and President of US-China Education Trust set the tone for a series of substantive remarks and panel discussions. As the pressure mounts between the U.S. and China on topics from trade relations to the South China Sea, exchange at the people-to-people level remains a means for the strengthening of ties and resolution of conflict between the two countries. Moderated by Hank Levine, Senior Advisor at Albright Stonebridge Group, the first panel discussed the resumption of the Fulbright program. Meirong Fu, Director of Beijing Foreign Studies University’s American Studies Center, and Mary Ellen Schmider, Director of the Fulbright Association, provided individual opening remarks and examined the impact of Fulbright programs on both sides of scholarly exchange between countries. The program concluded with an hour-long discussion with Jinzhao Li of Beijing Foreign Studies University, Hongxia Liu, Representative and Director of International Organizations at NYU Shanghai, John L. Holden, President & CEO of US-China Strong Foundation, and moderator Marlene Johnson, President Emerita of NAFSA. 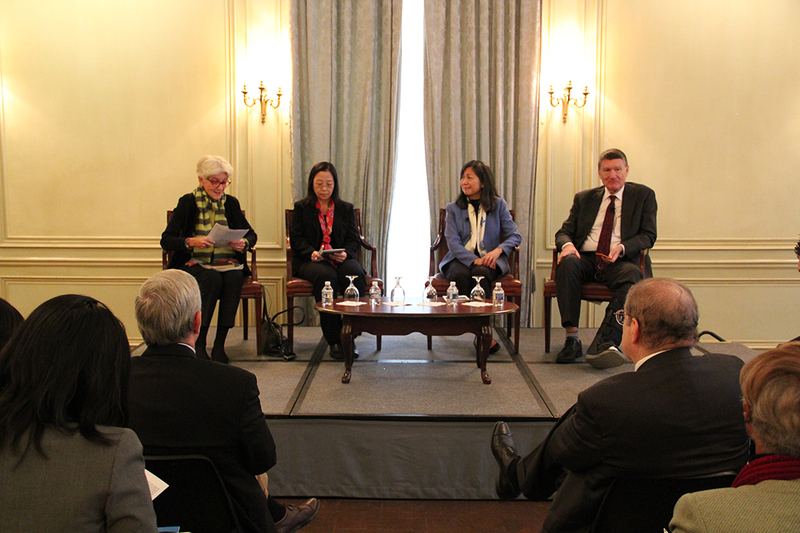 The panel examined the impact of education and exchange specifically on US-China relations. 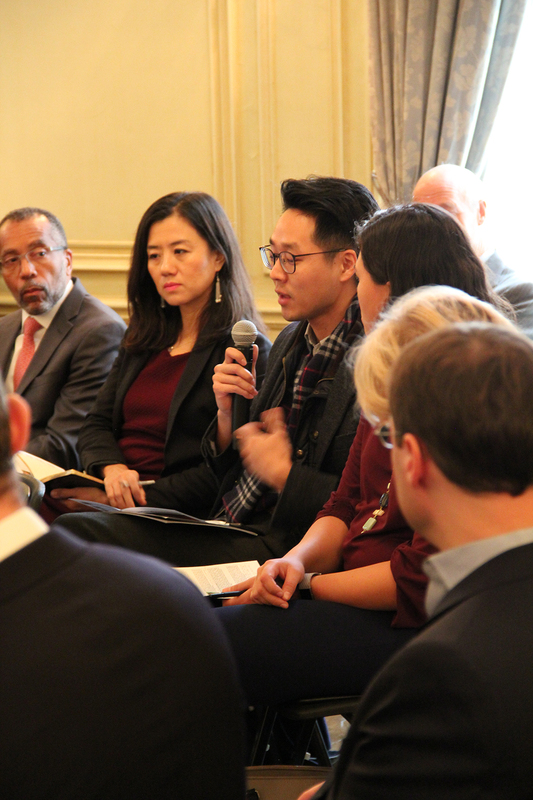 During a comprehensive discussion, the panelists addressed the decline of Chinese students studying abroad in the United States, the need for more international study and exchange by American students in China, and the role of a global education. 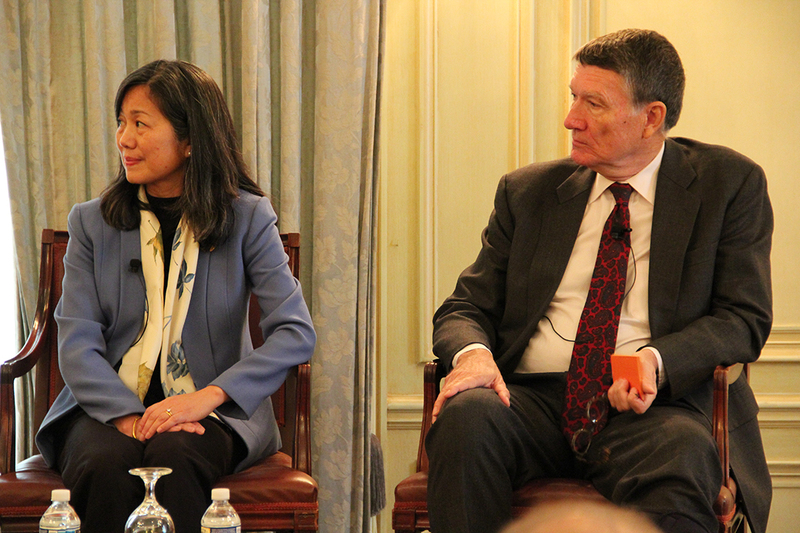 Hongxia Liu, Representative and Director, International Organizations, New York University Shanghai and John L. Holden, President & CEO, US-China Strong Foundation. Marlene Johnson, President Emerita of NAFSA and Jinzhao Li, Professor, Beijing Foreign Studies University. 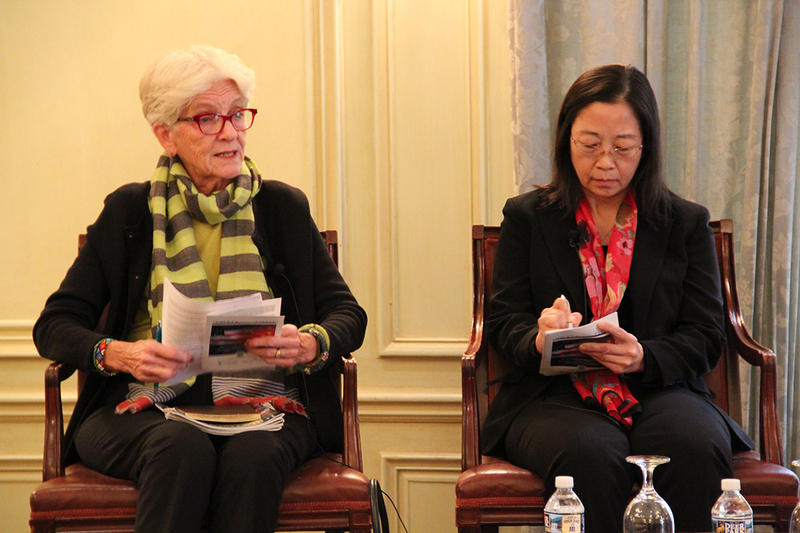 Audience members ask questions during the “Impact of Education and Exchange on US-China Relations” panel. Meirong Fu, Director and Professor, American Studies Center, Beijing Foreign Studies University and Mary Ellen Schmider, Director, Fulbright Association. 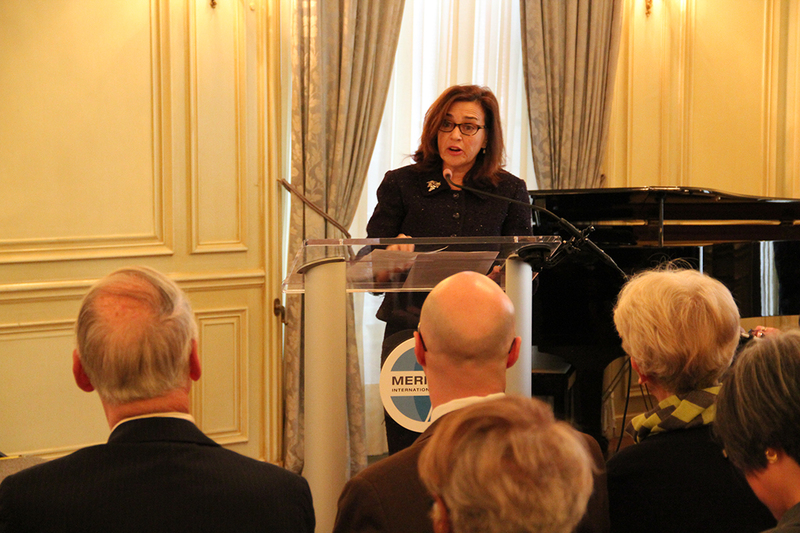 The Honorable Tara Sonenshine, Undersecretary of State for Public Diplomacy and Public Affairs (2012-2013). 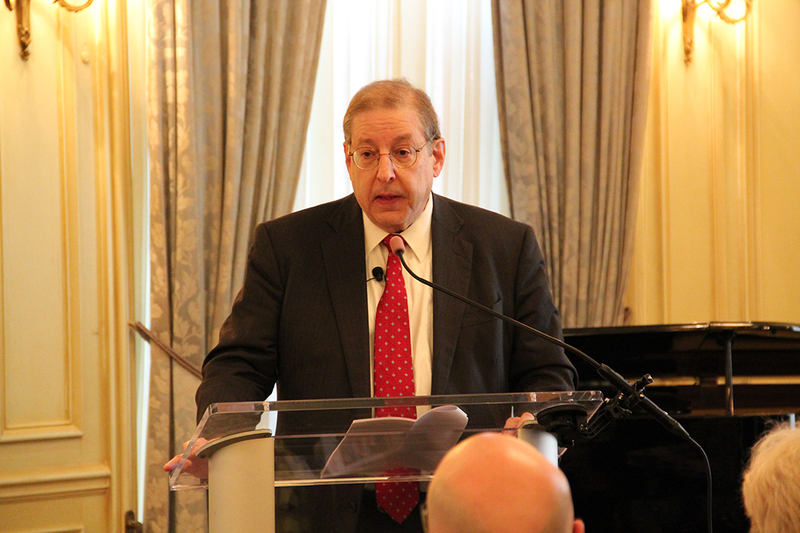 Hank Levine, Senior Advisor, Albright Stonebridge Group; Advisory Council, US-China Education Trust; Deputy Assistant Secretary for Asia, US Department of Commerce (2002-2006). 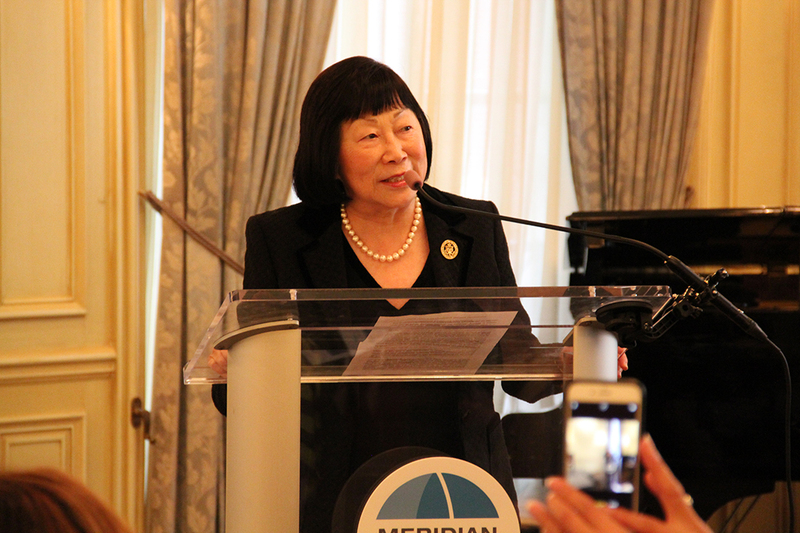 Ambassador Julia Chang Bloch, Founder & President, U.S.-China Education Trust.